"Coaches, if you need a great stat program with ability to webcast and track all the basketball metrics stats built-in, TurboStats is for you." Guaranteed to be the best stat program you ever used or your money back! 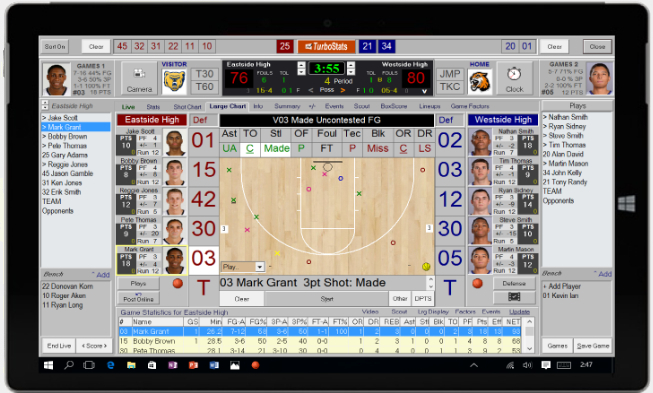 Have Your Stats Available During a Live Game, No More Waiting 24-36 Hrs for Film Breakdown or Paying over $800 for a Stat Service. Use Live Data to Help You Win! Optional: Store All Your Tagged Game Video on your Computer and Watch tagged Video Anywhere. 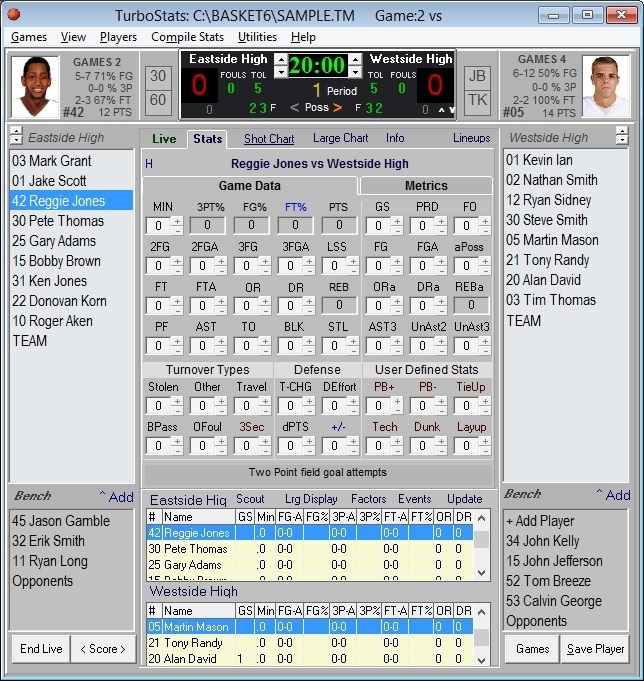 In Tally Mode enter all active players into the game for both teams. 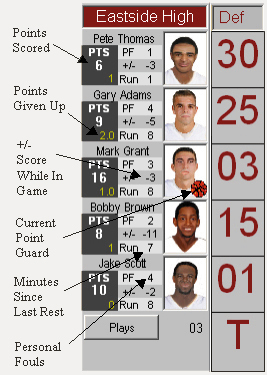 Note: Many metrics will not be available in tally mode including 5 player combination reports. TurboStats Minimum System Requirements: Windows 7, 8, 10, Vista & XP. 10 MB Disk Space. MaxPreps is a registered trademark of CBS MaxPreps, Inc., a CBS Company. CyberLink PowerDirector is a trademark of CyberLink Corp. Hudl is a registered Trademark of Agile Sports Technology Inc.